Excessive privatization, commercialization or marketization of vital areas such as healthcare, education and public transport have led to crises within crises, conflicts within conflicts and a self-destructive decline in quality standards and the spirit of public service. At present, one major crisis involves both education and healthcare with widespread protests and allegations of corruption over the controversial South Asian Institute of Technology and Medicine (SAITM) which most analysts and civic action groups see more as a degree-selling shop rather than a medical college. SAITM was started some eight years ago during the Rajapaksa regime when public protests were often repelled with violence if not something worse and when most education analysts or scholars did not fully realize what SAITM would grow into. SAITM was started as the South Asian Institute of Technology and Management but quietly, through some sort of backroom operation, the management turned into medicine. Most scholars and civic action groups believe the major question now cannot and must not be seen as an individual issue such as the huge amount a student has paid to obtain a dubious medical degree or a loving mother/s wish that her son or daughter should become a doctor. Instead we need to see it as a vital social or national issue such as whether the student is properly qualified to diagnose the illness and treat an innocent patient. These were among the issues that were taken up at a meeting on Monday of a new movement known as the Journalists for Ethics and Justice. The guest speaker was civil rights activist Professor Nirmal Ranjith Devasiri, former President of the Federation of University Teachers’ Association (FUTA). 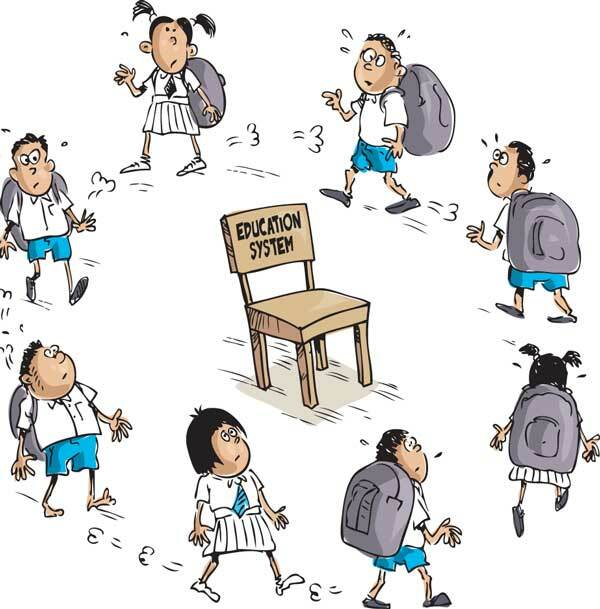 The crisis is not only in tertiary education, but in primary and secondary education also. This is largely because of wrong or selfish attitudes even among parents. According to Prof. Devasiri and others, most parents -- apparently influenced by market forces -- are concerned mainly about how their children fare at the Grade-5 scholarship examination, the G.C.E. Ordinary Level and Advanced Level examinations which began yesterday. Parents and others appear to have little concern over character formation and other virtues or whether the children will grow up to be good citizens who work with commitment and integrity for the common good of our motherland, for religious and ethnic harmony and for social justice through a more equitable distribution of wealth and resources. Another vice is what has grown into the monstrosity of the tuition industry or business. In most public schools the teachers do not complete the syllabus during school hours and as a result, hundreds of thousands of schoolchildren are virtually forced to patronize the tuition industry sometimes until late in the evening. As a result their play time and childhood are lost. In private and international schools high fees are charged, but most of the students studying in those schools also are forced into the tuition mania. Here again passing exams is given the highest value with character formation and other values being downgraded. By way of a solution, the National Government has increased the budgetary allocation for the hallowed principle of free public education. Government leaders say their goal is to turn the nearest school into the best school so that parents need not go looking for so-called prestigious schools and pay high prices for them financially and otherwise. We hope this will work out. But with vested interests, corrupt politicians and officials working behind the blackboard to make education a profit-making business, we believe civic action groups and parents would need to take sincere and selfless action to take education and millions of students to the right goals and vision otherwise our children may learn how to fly like birds or swim like fish, but forget how to walk like human beings.